Today I’m going to talk about creativity and some ways you can work to improve yours, using some brain exercises and hypnosis. My latest work with creative hypnosis was with an art student with my help and the help of one of my colleagues, she got got a 1st class honours degree this year. There is a video with a bit about the project and what we did if you are interested in art, it was mainly hypnosis that I used to enhance creativity on this occasion. 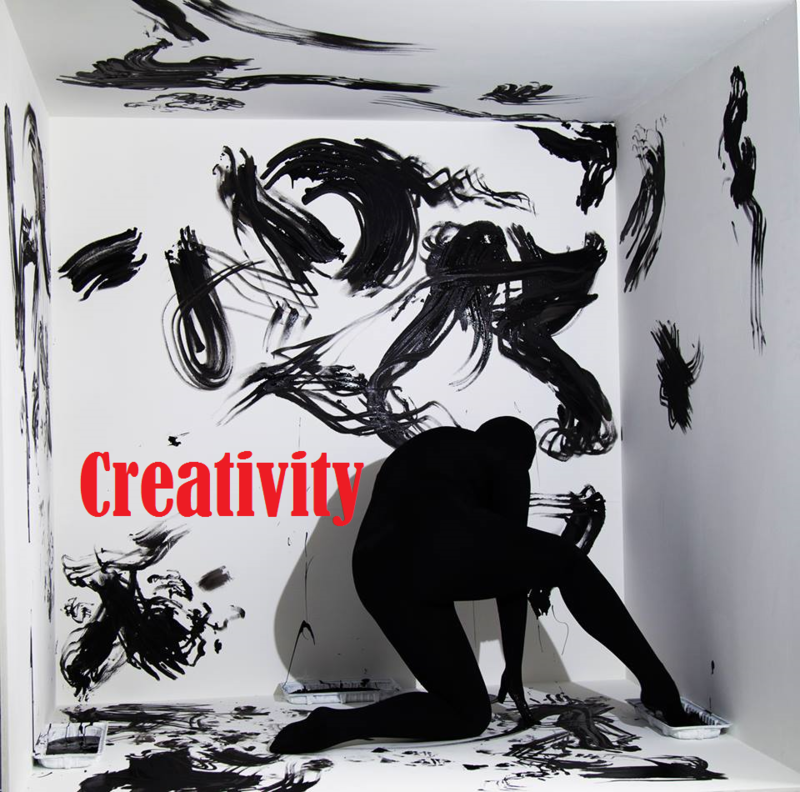 Creative hypnosis can be used for all kinds of other disciplines such as dance, art, martial arts, brainstorming, music or pretty much any thing that requires creative thinking, or creative performance. Our brains are asymmetrical left and right, as in they are wired differently and have different functions. Other than being involved in creativity, what else does the right brain do? How can we stimulate the right side of the brain? 2.Movement on the LEFT side of the body. 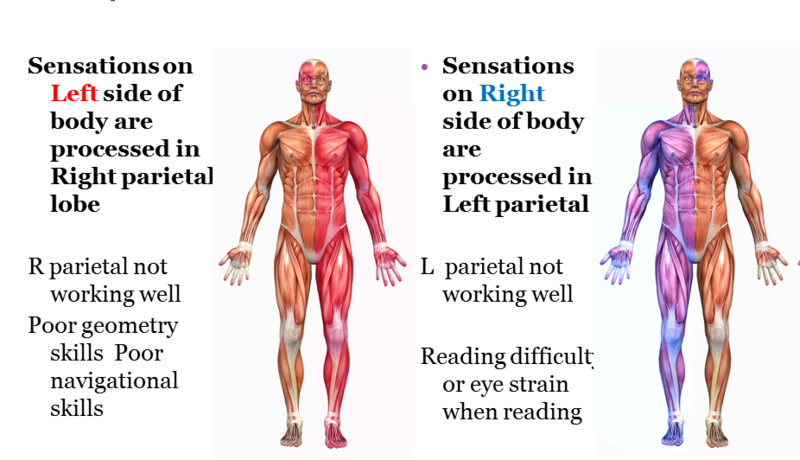 The right cortex controls voluntary movement on the left side of the body also the right side of the brain deals more with complicated movements of large joints such as hips, shoulders, elbows. The left brain deals more with small dextrous movements with the fingers. Smell is processed on the same side of the brain, right nostril – right cortex. Cover your left nostril and smell something with just the right. Different smells will evoke different responses, but for now any smell will work. The way the brain processes incoming light and images is very complicated, but its possible to buy special glasses which can selectively stimulate different sides and parts of the brain depending on the settings. Eye lights on the right are more sophisticated than the hemi fields on the left. The nasal portion of the visual field (inner part) stimulates more of the opposite cortex, whereas the temporal (outer) field is the same side of the brain. This is why the lenses in glasses are split in half, the hemi fields have a blue and a red half, and the eye lights are shining light into the nasal portion of one eye and the temporal portion of the other eye. Although hypnosis uses many parts of the brain, visualisation is a right brain activity and many aspects of hypnosis require visualisation, but there is more to hypnosis than just imagination, but imagination itself is important for hypnosis to be effective. Its possible to improve your imagination by using hypnosis, which then makes future hypnosis sessions more effective. Hypnosis and neurology can be used to enhance many other aspects of brain function, not just creativity. There are many methods to improve memory, coordination, dexterity, emotional resilience, performing under pressure, reflex speed, thought processing speed and more, these will be covered in up and coming blogs.